Happy Friday! 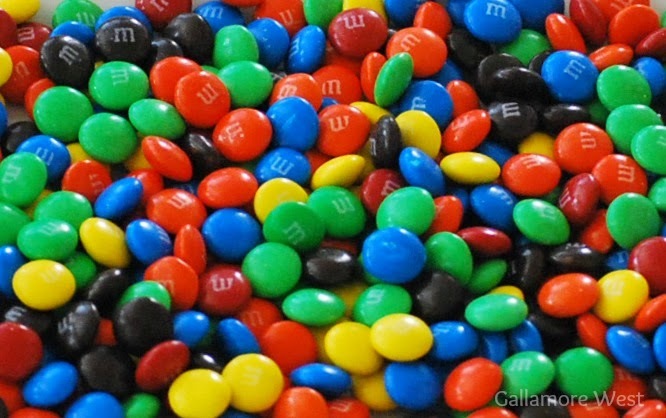 I'm excited to share one of my favorite easy treats to make using Milk Chocolate M&Ms, plus there's a chance for you to win one of three $250 Walmart gift cards at the end of this post! milk chocolate M &Ms for our son's 3rd Birthday Party recently. 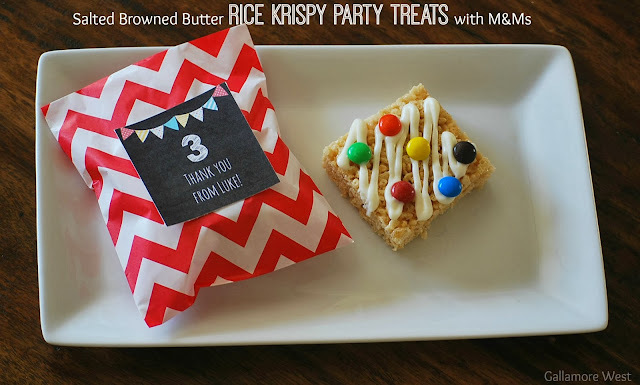 or as a special treat just for fun. bunch of other stuff needed for Luke's Birthday Party. Prepare a 9x3 glass baking dish with non-stick spray and set aside. scent. Add in marshmallows and stir constantly until thoroughly melted. remove from heat and add in vanilla extract. Quickly stir to combine. 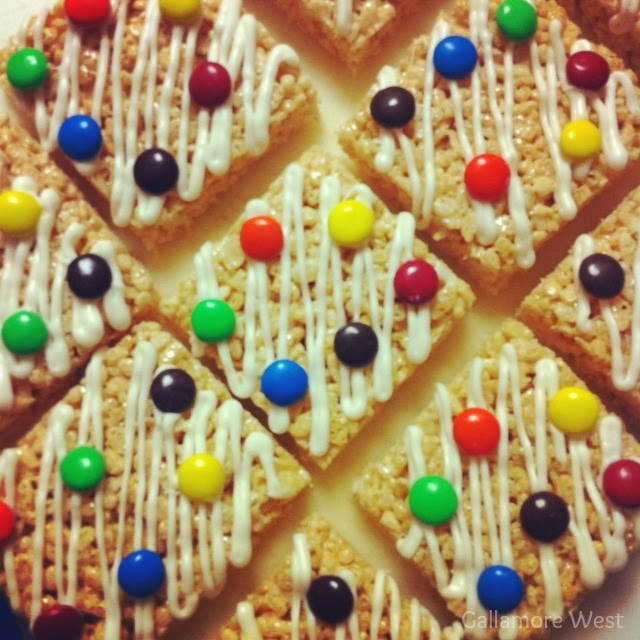 Stir in Rice Krispies until all cereal is coated with marshmallows. press the mixture firmly into the pan until evenly spread. Allow it to cool for about 10 minutes. (but don't leave them in there too long or they will dry out). Cut into squares. 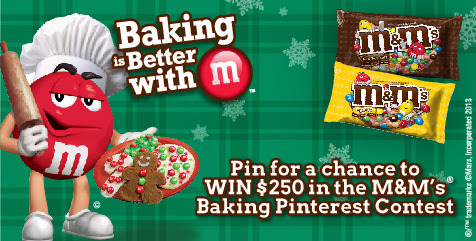 Looking for more creative, delicious ways to bake with M&Ms? Check out Bright Ideas and Mars!